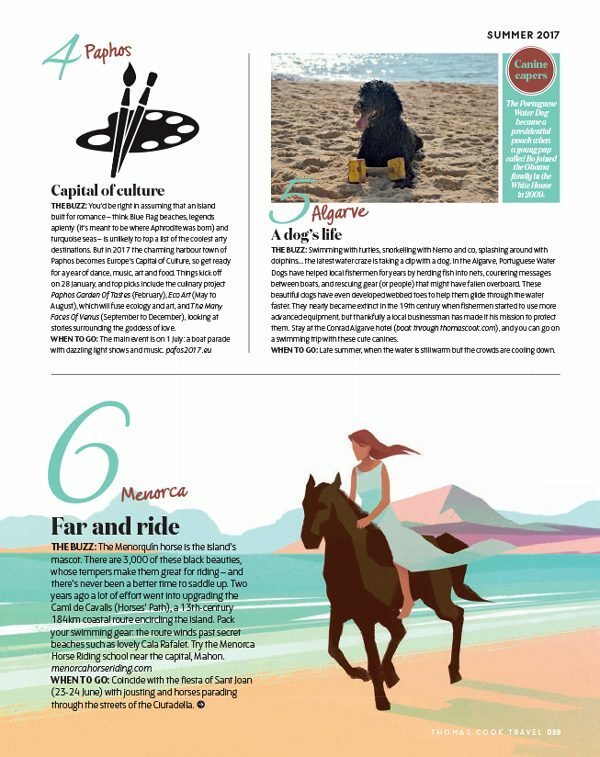 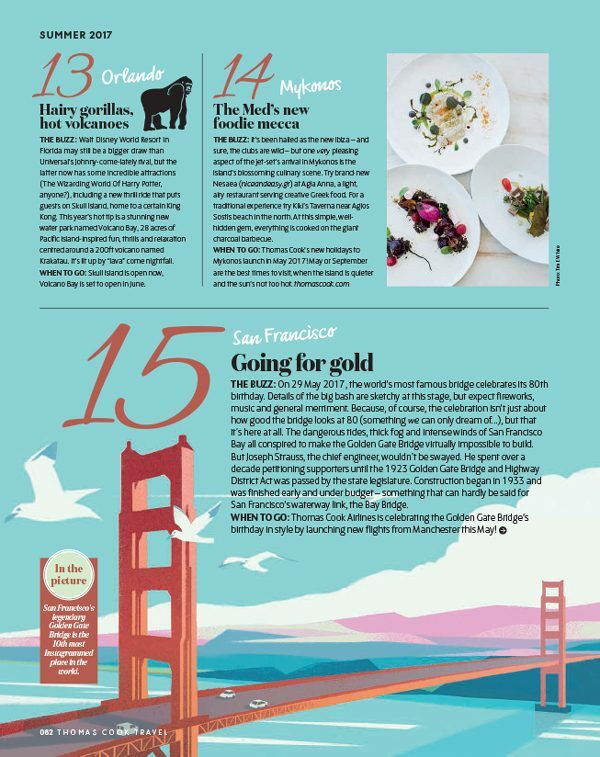 Thomas Cook recently commissioned me for their magazine Travel, which is distributed on all Thomas Cook flights. 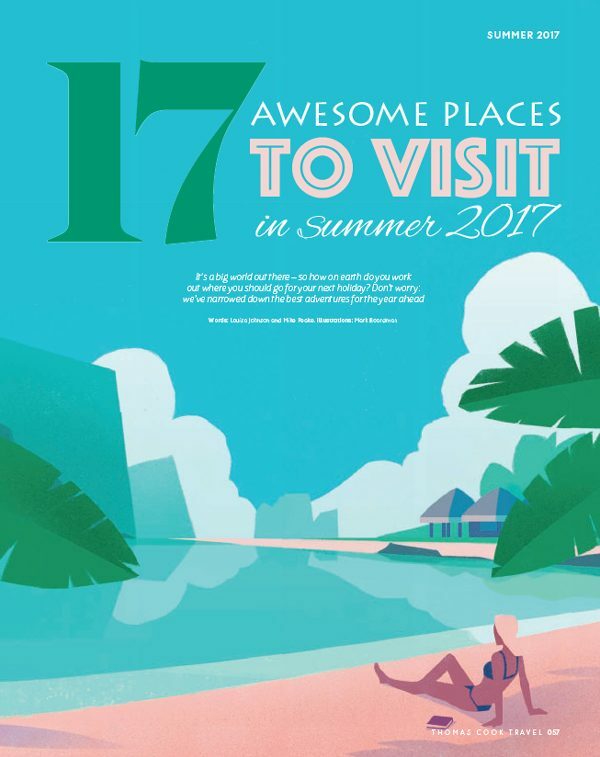 I was asked to produce a series of half page illustrations to accompany an article listing their top 17 destinations for Summer 2017. 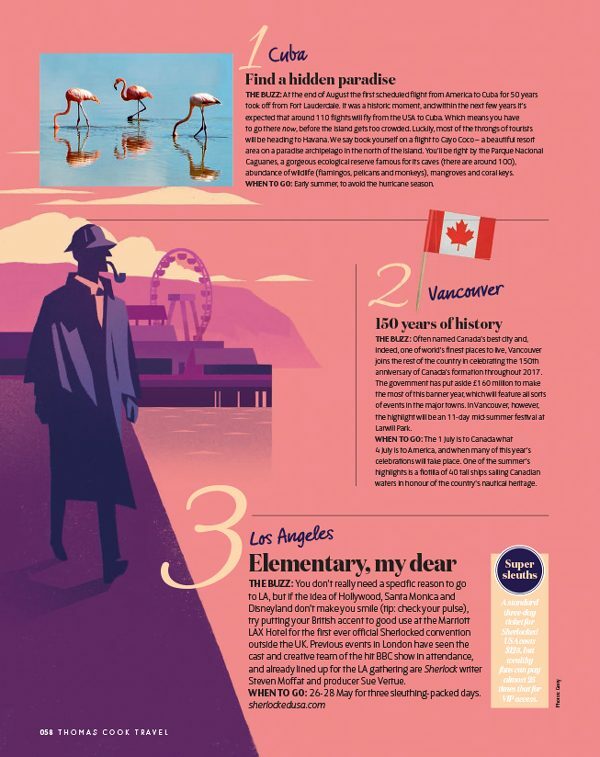 This was a really enjoyable project for me, with plenty of freedom to choose the imagery and some fun themes to work with.